There’s this last song at the end part of this movie….with the lyrics “everybody hurts.. ” could somebody tell me what the title of it is? I know I’ve heard it before from another movie…. thanks! I love this movie…and I love the soundtrack too! The song when she is walking in the rain is “Fake Plastic Trees” by Radiohead. does any one know the song that is playing when Dex walks into the bar and the live band is playing and Rachel is sitting there drinking her drink? does anyone know the song i think the hip hop song when raichel was dancing with marcus also dex dancing with darcy at the same time. Yvonne…your song is “How’s It Going To Be”…originally done by Third Eye Blind, but the cover band was PT Walkley. Anyz…your song is “Ms. New Booty”…performed by Bubba Sparxxx (Sparks). Does anyone know what’s d song that was playing when dex met Rachel at the bar to listen to the band performed as Darcy was busy getting a Botox jab? What is the name of the song that is played when Dex,Darcy & Marcus comes to pick up Rachel and Ethan to go to the Hamptons in his land rover car? Does anybody know the name of the song playing when Rachel & Dex are on her rooftop alone during the 4th of July weekend? It’s not one that is on the soundtrack. Thanks! whats the title of the song when rachel run in the rain and confess to dexter..very nice song..
Little Too Much – Natasha Bedingfield song is amazing…. does anyone know what the instrumental song is that plays on the screen here you push “play movie”? Does anybody know the name of the song playing when Darcy and Rachel down of the limo the night of the bachelorette?? The name of the song they play when Rachel and Darcy are getting out of the limo is my first wish. The artist is miss Eighty6. answer for KellyD: it’s the longer i run :) enjoy!! kimmit27 – the cover song is called “Around Here” originally by Counting Crows. That’s the song they play after “How It’s Gonna Be”. To all the people who are looking for the song when she dances with Marcus at the club.. it’s Bubba Sparxxx – Ms.New Booty. I love the film so much and also the soundtracks are wonderful and So romantic :) perfecto! how about the duet..what’s the title of that song..
What’s the name of the song when Dex meet Darcy for the first time at the bar? but not Breathe… It comes towards the end of that particular scene…. Does anyone know the artist of the piano/orchestra music for the movie intro (before you play the movie)? The credits song on the end of movie is Little Too Much by Natasha Bedingfield! I love this song! new shoes! thank you – fun film and great soundtrack. My favorite was natasha bedingfield with little too much! :) I love it! Does anyone know the name of the song playing as Rachel walks into the club for her surprise party? 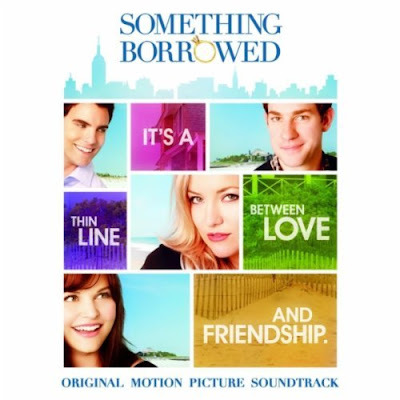 I Just Love This Movie.Great Movie With Fantastic Soundtrack.Natasha Bedingfield-A Little Too Much My Favourite.And Another Thing About Ginnifer Goodwin. Oh my! “The Big W” by P.O.E. super awesome movie and great soundtrack! What’s the name of the song when Dex meet Darcy for the first time at the bar-it’s instrumental…with some beats? I love “How’s It Going To Be?” ! What’s the slow, beautiful duet sung song nearer to the end of the movie, where Rachel finds the wedding invitation which she stuck in the oven earlier? I’d love to know! If anyone knows! Thank you. Does anyone know the song and artist from the sceen at the bar before the mrs new booty song comes out. Where the obbesed girl is getting Ethan to dance with her. I need help please! !! !